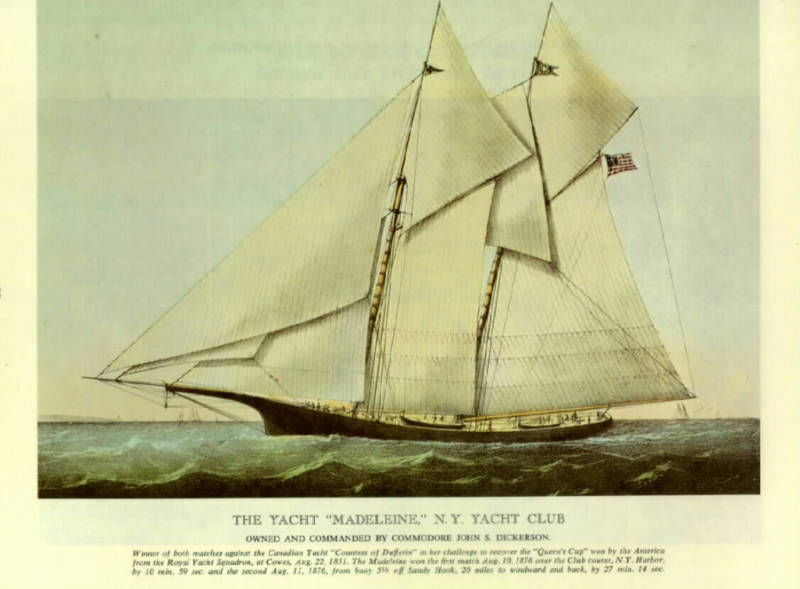 THE YACHT MADELEINE N.Y. YACHT CLUB " . The image area is approximatly 10 " X 7 " The entire page measures approximatly 12" by 9 " . This print is taken from a vintage book 42 yrs. of age.This print is in excellent condition and its colors vibrant.